Yesterday, Jed had to go for his second Melanoma vaccine, which would have gone better if I’d given him his sedative pills a couple of hours earlier. As usual, he became suspicious of the machinery etc., so had to be muzzled. The vet said he was too clever for his own good and knew what was coming. Poor Jed! 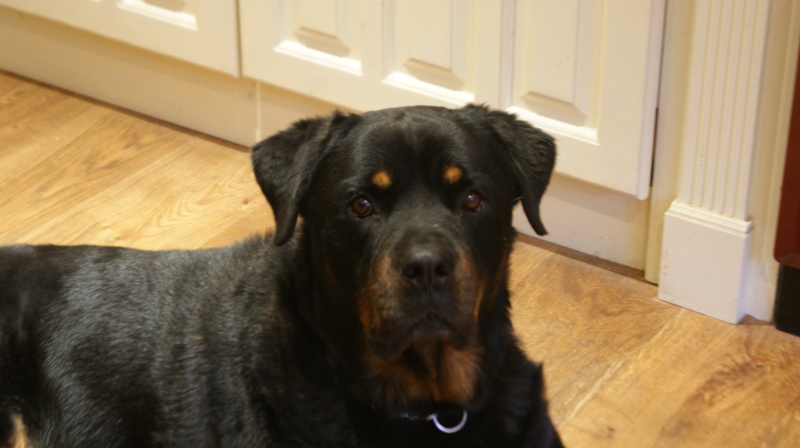 One of the lady’s on reception sent me a photo they took of Jed when he was sent home a week after his operation. He jumped up on to the seat next to me and looked so happy to be going home. As you can see. He was meant to go for this vaccine last Thursday but unfortunately, caught a nasty tummy bug which our other two dogs had gone down with over the previous 10 days or so. He became very unwell and listless, just passing watery pink diarrhoea and vomitting white foam every 10 minutes. So, I took him off to our local vet and he was given an anti emetic (anti-sick) drug by injection and another to stop the diarrhoea. This worked in no time and he picked up really well over the next couple of days considering what he’s been through lately. His appetite returned with a vengeance and he soon looked his normal self again. I don’t know if the homoepathic remedies are helping but I keep putting them in his water bowl in the hopes they will work. I read an article on PubMed that Thuja has good results in destroying Melanoma cancer cells. I’ve also got him on Carcinosin (a cancer remedy) and a few others. Plus Arnica for healing his sore mouth after the operation. 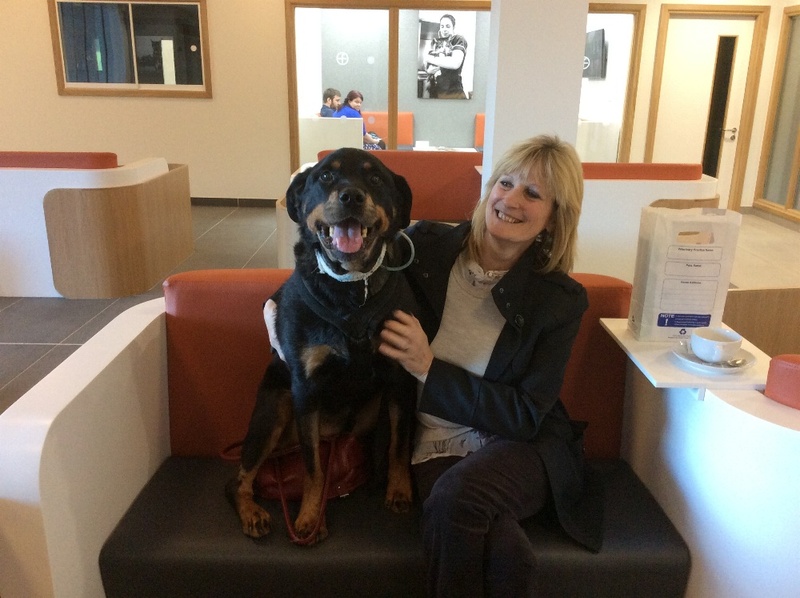 Jed loved going back to Fitzpatrick Referralls Oncology and Soft Tissue hospital and as usual was made a big fuss of by the ladies. He knows where we are once we’re within half a mile of the building. Sits bolt upright and wide eyed as we drive into the car park. Then he doesn’t wait for me to put the seat forward, just springs over the back of the chair and out the car door. Today he’s none the worse for wear after his delayed sedation yesterday afternoon and evening. In fact, this afternoon, he spotted a fox in the field beyond our garden, ran down the garden like a greyhound, jumped the large post and rail fence at the bottom like it was 6 inches high and disappeared into the field beyond. I leapt into my car and drove down the lane in the hopes he hadn’t continued to the main road and found him standing in a field looking at me as I drove up to the gate to see where he was. He scrambled through the fence and jumped into my car – very pleased with himself after his mini adventure.